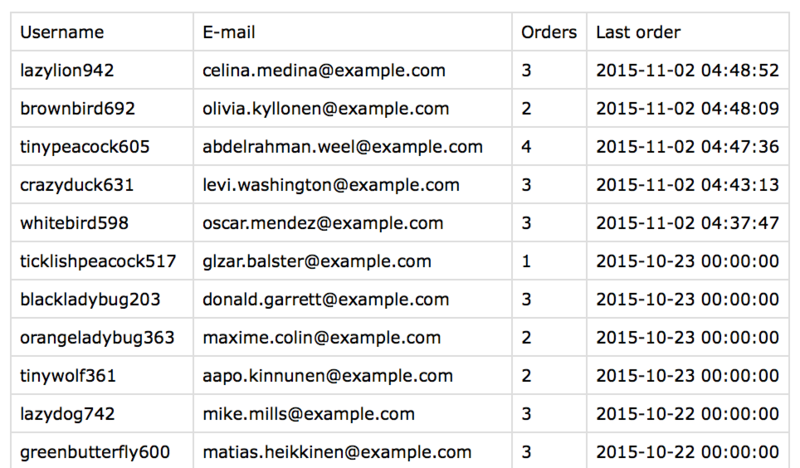 With the export feature of Users Insights, you can create your own custom exports of your WordPress user data in a CSV format. You have the complete control over which users and fields to be included in your custom WordPress user export. 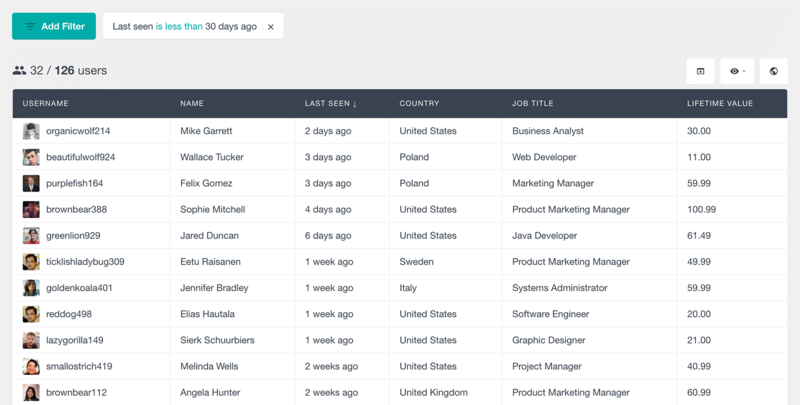 The custom export feature of Users Insights works on the principle “What you see is what you get“, which means that your exported CSV file will look exactly like the current state of the Users Insights user table. All the advanced features and filters that Users Insights provides, such as selecting the visible columns in the user table, accessing the integrated plugins’ data, applying custom filters and selecting custom order are also available when you create your custom user export. Using the Users Insights custom export feature is very easy – it is available via the export button in the right options menu of Users Insights. Clicking on the export button will open a dialog window asking you to confirm that you want to proceed with the export. If you confirm the export action, the export will start generating the file. Once ready, the CSV exported file will start downloading on your computer. If no filters are applied before doing the export, the exported file will include all of your WordPress users with the user data that you have currently displayed on your Users Insights table. 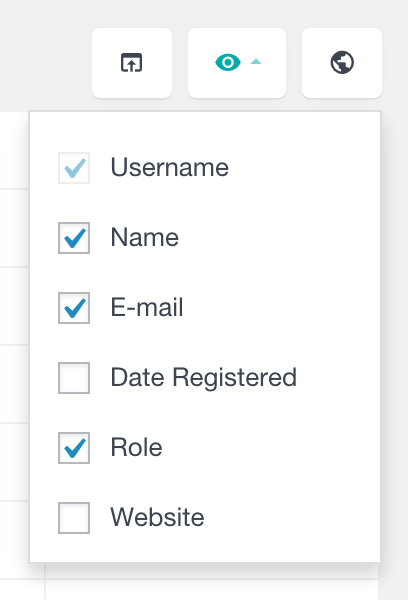 The username field is always added by default as an identificator for the user. One of the key features of Users Insights is the ability to use the smart filters to create custom segments of your WordPress user list. Since the export feature of Users Insights integrates with the smart filters, you can use the filters to create your own custom exports that include only the users that you want. 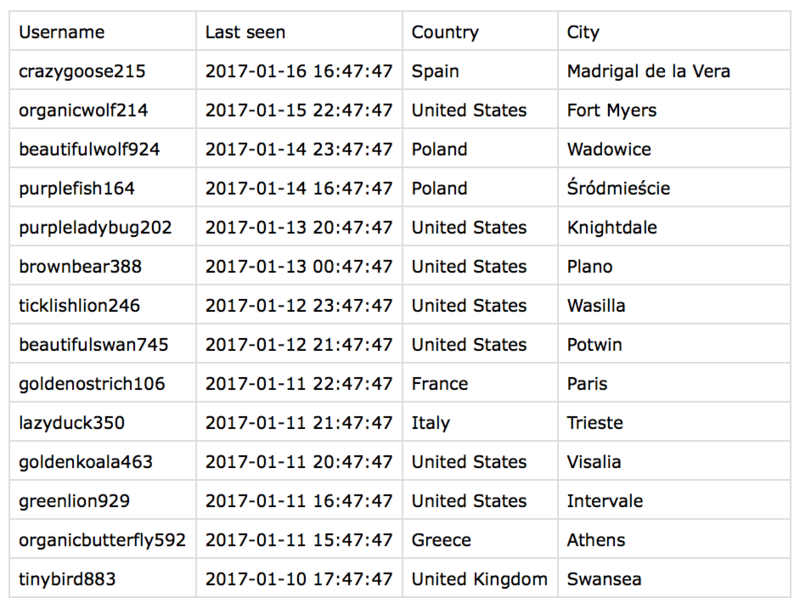 Additional data added by the Users Insights WordPress plugin, such as posts/comments created, last seen date and number of sessions. Fields added by the Users Insights integration modules including the Geolocation, Device Detection, WooCommerce, Ultimate Member, bbPress and BuddyPress modules data. For more information on the available filters, please refer to the Available Fields and Filters page. The sorting order applied to the Users Insights user list is automatically applied to the exported user file, so you can easily select the column to sort by and the type of the order (ascending/descending). There are many cases where you might need to export your WordPress user data. You might need to move your user data to a new website or you might need to import your user data into a different system like a CRM, Analytics Tool or Email Marketing Software. Or you simply might need to create a report of your WordPress user activity. Whatever the use, having a tool that allows you to create your own custom user export that includes only the users and the user data that you need is a valuable thing to have.